KoopaTV: How To Use Your GameCube Controller on Nintendo Switch, And Should You? How To Use Your GameCube Controller on Nintendo Switch, And Should You? By LUDWIG VON KOOPA - Step-by-step on how to connect your GameCube controller to your Nintendo Switch... and then why you shouldn't. I am on record saying many times that the Nintendo GameCube and is my favourite gaming console, and the Nintendo GameCube controller is my favourite controller ever made. The most exciting thing about the announcement of the Super Smash Bros. For Wii U invitational in 2014 was that the game would be playable using GameCube controllers using a special Wii U USB adapter. Skip to 2017, and now the Nintendo Switch is also compatible with that Wii U USB adapter for GameCube controllers... meaning you can now play with your 16 year old Nintendo GameCube controller on your Nintendo Switch! And unlike on the Wii U, you can (try) to do this on any game, not just Super Smash Bros.! Shigeru Miyamoto was correct when he said the Nintendo GameCube controller would be the standard a decade later. According to Reggie Fils-Aime, the GameCube functionality was a total accident with Nintendo Switch update 4.0.0, and it was designed for third-party USB stuff that happened to work. ...Ah well. You will need your GameCube Controller Adapter, your Nintendo Switch's Dock, and a GameCube controller. Note that this means playing without the Dock is not an option. The Nintendo Switch Dock has three USB ports, and the GameCube Controller requires two USB ports. Technically, you can use just one port (use the black plug), but the rumble functionality is powered by the grey plug. The Dock has one port in the back (between the AC Adapter port and the HDMI cable) and two ports on the sides. Pictured: Plugging in the GameCube Controller Adapter to the side of the Nintendo Switch Dock. Pictured: Plugging in the GameCube Controller Adapter to the back of the Nintendo Switch Dock. Once you successfully locate the side-ports, insert the two plugs (black and grey) from the GameCube Controller Adapter into those side-ports. It doesn't matter which goes where. Make sure your GameCube Controller is plugged into the GameCube Controller Adapter. 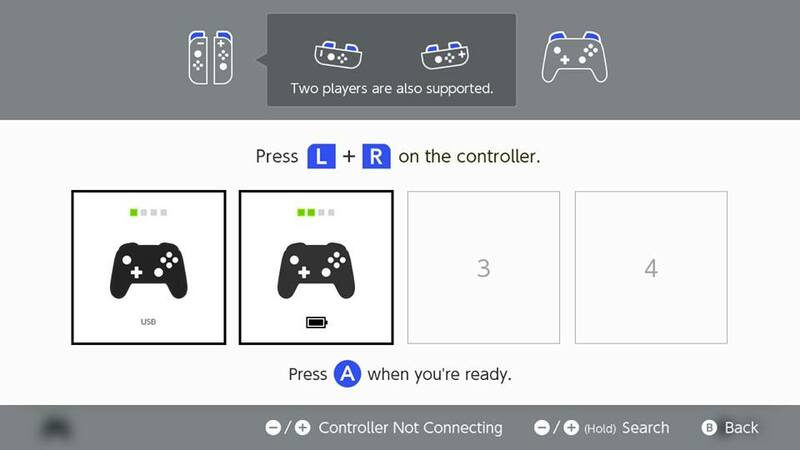 In the Nintendo Switch home menu, go to Controllers and select Change Grip/Order. Press the L and R buttons on your GameCube controller. Your GameCube controller will be denoted with “USB”. It will have the same icon as the Nintendo Switch Pro Controller (player 2 in the image). When you wish to leave the screen, press A. You can now use your GameCube controller to do whatever, including navigate the Nintendo Switch home menu and play games! I have had the belief for a decade and a half that the Nintendo GameCube controller is the best videogame controller ever made. However, here are the facts. The GameCube controller is great for GameCube games, compatible Wii games, and all iterations of Super Smash Bros. because those games were designed for the GameCube controller in mind. Their control schemes are optimised to take advantage of the GameCube controller's features and button layout. Bottom: Nintendo Switch Pro Controller. The controllers look pretty similar in terms of general location of buttons: The sticks are in the same place, as is the D-Pad, the face buttons, and while you don't see them, the shoulder buttons. However, the Switch has motion controls, gyro, a HOME Button, a minus button, a screenshot/video capture button, and a ZL button. But, okay, maybe you are playing a game that doesn't have those buttons or capabilities. (For a point of reference, turning into a squid in Splatoon 2 requires the ZL button, and being a kid now and then a squid now is critically important to gameplay.) You will be missing out on the fantastic screenshotting feature and you won't be able to return back to the HOME menu, but let's say you don't care about those things. Look at how the face buttons are set up. On the Nintendo Switch Pro Controller, ABXY are set up as a diamond — each button is treated as equals and are equidistant from one another. On the Nintendo GameCube controller, each button gets its own shape and there is a much different placement of the buttons. This directly impacted how controls were configured in the GameCube era, but developers no longer take that into account. For example, take Pokkén Tournament DX. Grab attacks, which are critical to playing the game since they are part of the game's “Attack Triangle” (Normal Attack beats Grab Attack, Grab Attack beats Counter Attack, and Counter Attack beats Normal Attack), are performed by pressing the B and Y buttons simultaneously. On the Nintendo Switch Pro Controller, this simple input is not a problem. On the GameCube controller, B and Y are quite far apart. You are supposed to use your right thumb for pressing the face buttons, but your thumb is not going to be pressing B and Y without also hitting A (thus doing a different command than grab) unless you hold the controller uncomfortably and in a way that will impair whatever your next button input will be. 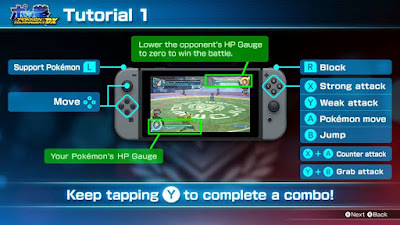 Unlike Super Smash Bros., there is no main attack button in Pokkén Tournament DX. There are zero benefits to using the GameCube controller for any currently-released Nintendo Switch game. That could change with a Super Smash Bros. title that does not change how the series has been controlled, but there is already a major point of discussion in the Super Smash Bros. community about how bad it is that competitive play has been relying on very old controllers that are no longer manufactured and have a variety of inherent manufacturing defects that make each controller different. People are actually trying to create different control schemes, like the Smash Box controller, that will move the community away from the GameCube controller to an ergonomically-friendly, along with a performance-friendly, alternative. Part of being a gamer is the ability to adapt to a wide variety of circumstances, which includes different controllers. The Nintendo Switch Pro Controller is actually phenomenal in its own right and is a highly recommended purchase with your Switch. Therefore, I suggest leaving the happy accident of GameCube controller compatibility behind, and don't make anything of it being available to play with on the Nintendo Switch. Unless, of course, you will be able to play GameCube games on the Nintendo Switch in the future. Ludwig means absolutely no disrespect to the GameCube controller in this article. Again, it is a fantastic controller to this day, but it does not do the controller justice to use it for things it is not meant to do. Controllers are tools, and you want the right tool for the job. Speaking of which, if you think that YOU are the right person for a KoopaTV job, then click here for more information! It is unfathomable to me, why they decided to banish colours from their new controller. The all-black just screams:"Please don't look at me I'm hideous". While better controllers (PS) make the black work by directing all attention to the iconic XO/\ Buttons, the Switch controller has not a point of colour, so your direction glides over it, making me want to believe Nintendo took their inspiration for the Switch Controller straight from a Stealth Bomber. The old Green-Red-Blue-Yellow Scheme looked iconic and perfect and the New 3DS showed that it still works in today's console aesthetics, which generally seem to follow the pattern: the less you look at our consoles, the better. Heck, I own a Playstation 4 and couldn't tell you what shape it is from memory alone. I feel like it was a deep fall from the Pikachu N64 to the dull black Switch with Blue-Red(Orange?) Joycon shades straight from Tartarus. But at least the Splatoon 2 special edition Joycons with the (s)lime green and (p)inky pink look great. So maybe the light of pleasurable aesthetics hasn't left Nintendo for good, who knows. For now the answer seems to be written in the stars (or the moons, given the newest Mario installment). Now, in defence of Nintendo: There are several different colours you can get Switch controllers in. There are Neon Blue, Neon Red, Grey, gross-ARMS-yellow for the Joy-Con. (That links to a Joy-Con Colour Viewer that Nintendo made that I didn't know existed.) You can also have different colours for the wrist straps! There is a Splatoon 2 (pink and green)-themed Pro Controller as well. ...Or was. Might be discontinued. I guess the lesson is that Nintendo wants you looking at the screen, not the controller. Fair point. Though, for the Wii U, the screen WAS the controller, and that colour selection was very limited. ...Black and white. I blame Apple for the overall loss of colour, and you raise great and amusing points. Well, I didn't know the side USB ports actually existed on the Switch when I first tried to do this, so... my own tutorial would've helped me. What did you think of the second half of the article? Hey, if you want to, there's the guest posts section. You'd have to stop being Anonymous, though. Is playing MK8 on the GameCube controller particularly better than playing it on anything else? Since the GameCube controller is already superior, it's clearly the better choice. We treat our guest post(er)s very well, thank-you very much! In fact, they enter our wonderful KoopaTV canon narrative. The GameCube controller is superior for games that it was designed for. "There is already a major point of discussion in the Super Smash Bros community about how bad it is that competitive play has been relying on very old controllers that are no longer manufactured and have a variety of inherent manufacturing defects that make each controller different." This is now my favorite thing you have ever said. Seriously, I have ABSOLUTELY no chill for people who still cling on so much to Melee after all this time. I've heard stories about top level pros rejecting GC controllers because they DON'T have a certain defect or defects that can't be used in some obscure exploitable way to win at Melee. Insanity I say, abject insanity! I kinda wish that I've said more favourite-y things than that. Specifically, the problem is that the control stick on the GameCube controller needs to have a very specific orientation/grooves/whatever, and this is the most deviating part of the manufacturing process and you can't really replace it without making a new controller. Competitive Melee players are having a sort of civil war over how to keep going from here. Someone wrote on Gamefaqs that a Gamecube controller helped in getting the 100 jumps needed for the moon in Super Mario Odyssey. I tried it myself and got 101 jumps. So I can't be mad at the controller, since spending a lot for a pro controller is not appealing right now as I spent a lot this month buying items including an embroidery machine to make custom plushies for my child's first birthday coming up. Well, the GCN controller + adapter would also cost a lot if you didn't already have it...! Look Son! A good article!